Most folks by now are well aware of the age threshold for taking penalty-free distributions from your Self-Directed IRA or 401(k). Unless hardship conditions apply, or you are spreading income out in substantially equal periodic payments under Section 72(t) of the Revenue Code (essentially annuitizing your Self-Directed IRA or 401(k)), you have to wait until you are age 59½ to qualify for penalty-free distributions from these accounts. Fewer people, however, are aware of a little-known rule that allows certain 401(k) beneficiaries who have left their employers, or whose employers no longer exist – to access that money as early as age 55, without having to pay the 10 percent excise tax on early distributions. This provision, called the “Rule of 55,” allows any beneficiary of a 401(k) or 403(b) plan pull money out of the plan without penalty if they are age 55 or older, and if they’ve been fired, laid off or quit their job without a 10 percent penalty. You’ll still have to pay income tax on the amount you take out, unless you’re taking income from a Roth 401(k), which is generally tax free as long as the assets have been in the Roth at least five years. The provision benefits any workers who leave the service of their plan sponsor at any time during or after the year in which they turn age 55 years. The benefit only applies to the job or jobs you left at age 55 or older. Money in plans of former employers must remain in place until you reach 59 ½, or you will pay the penalty. Note: While these provisions help you avoid the 10 percent excise tax on early withdrawals, if you qualify, you will still have to pay any income taxes due on amounts you withdraw. Note also that when you withdraw assets from a 401(k) plan, the 401(k) plan administrator is required by law to withhold 20 percent of the amount distributed and forward it to the IRS to pay income taxes. Any penalties that apply amount to 10 percent of the entire amount distributed, and not just to the 80-percent that you actually receive. To avoid this provision, you can roll assets in your 401(k) into a IRA and then take the distribution from there, rather than take the distribution from the IRA itself. The same rules apply to a Self-Directed IRA. 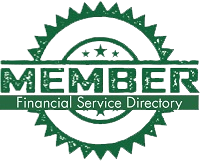 American IRA, LLC is among the nation’s leading administrators of Self-Directed IRAs. We help Self-Directed IRA owners ensure that their transactions are executed in a timely, accurate and cost-efficient way – with only a fraction of the fees that most investment companies charge. For more information, visit us online at www.americanira.com, or call us today at 866-7500-IRA(472).